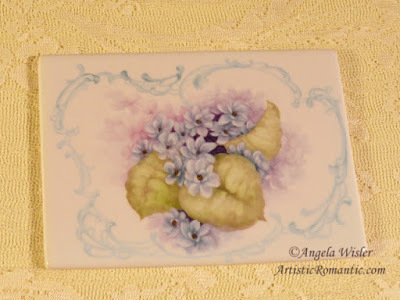 One of my favorite surfaces is porcelain canvas. They are thin and 100% porcelain with and have an almost translucence glow when painted. So lovely framed and because the painting is kiln fired they are heirloom quality. 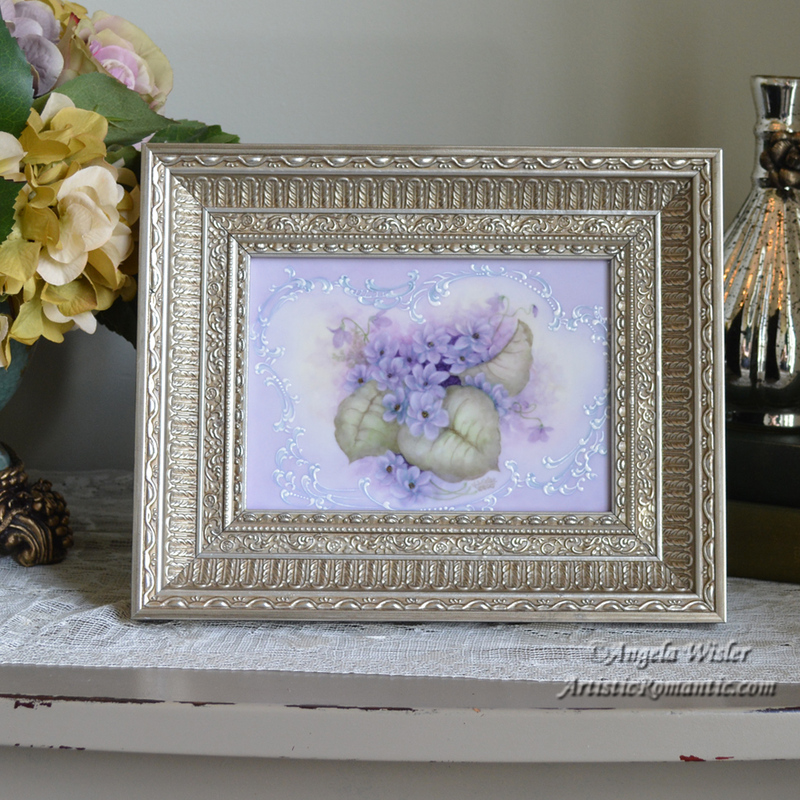 Today I want to share the steps I painted to create the framed canvas pictured below. 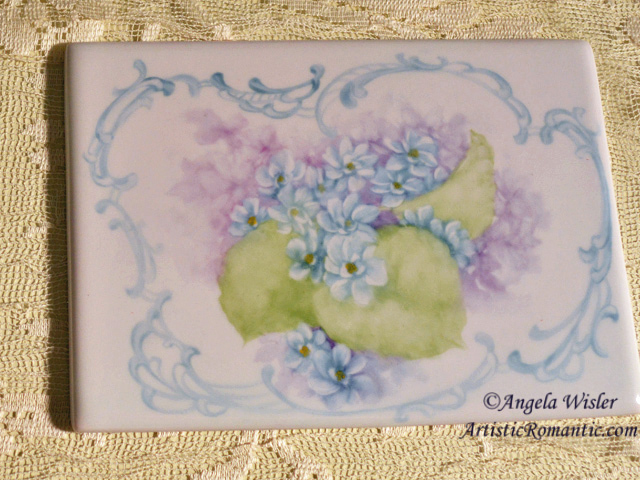 I began by painting the scrolled free-form border to frame the flowers. 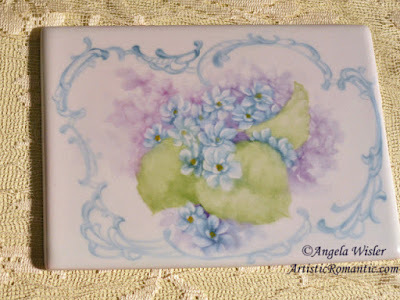 Next the violets were painted along with the leaves. The flowers are wiped out of the dark background. 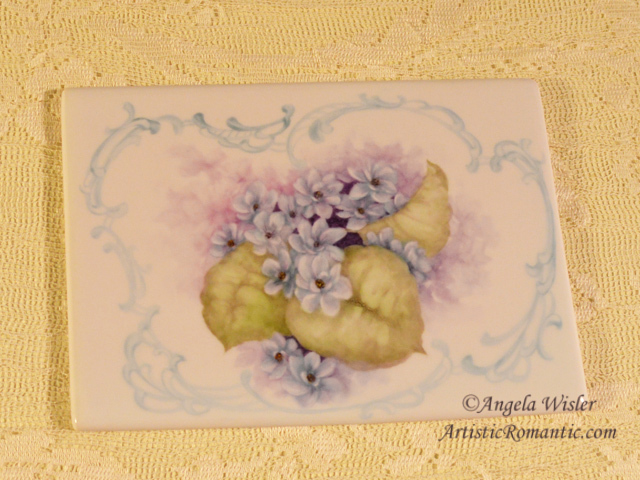 The white porcelain creates the highlights. Then I begin washing color over the flowers for depth. Color is also washed over the background and border area. 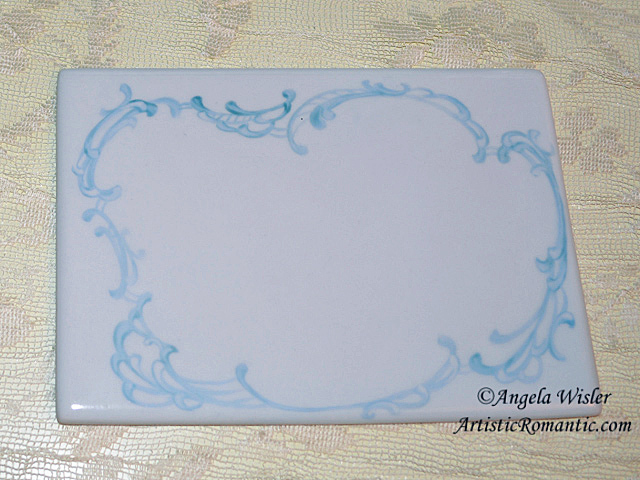 After firing, the piece is ready for raised enamel scrolling. I made the following video to help demonstrate how I apply the scrollwork. The sound isn't great. Please turn up your speakers. I apologize in advance for the quality. Once the scrolling is fired, the painting is finished and ready for a frame. Comments big or small; I appreciate them all.